Here's what I found upon typing my name on Google. phrase "the gods who live at their ease (rhea)." In myth, Rhea was the wife of the Titan Kronos and Queen of heaven. When her husband heard a prophecy that he would be deposed by one of his children, he took to swallowing each of them as soon as they were born. 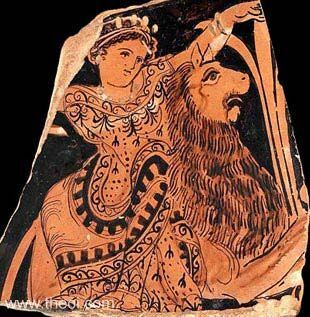 But Rhea bore her youngest, Zeus, in secret and hid him away in a cave in Krete guarded by shield-clashing Kouretes. In his stead she presented Kronos with a stone wrapped in swaddling clothes which he promptly devoured. Rhea was closely identified with the Anatolian mother-goddess Kybele. They were both depicted as matronly women, usually wearing a turret crown, and attended by lions.